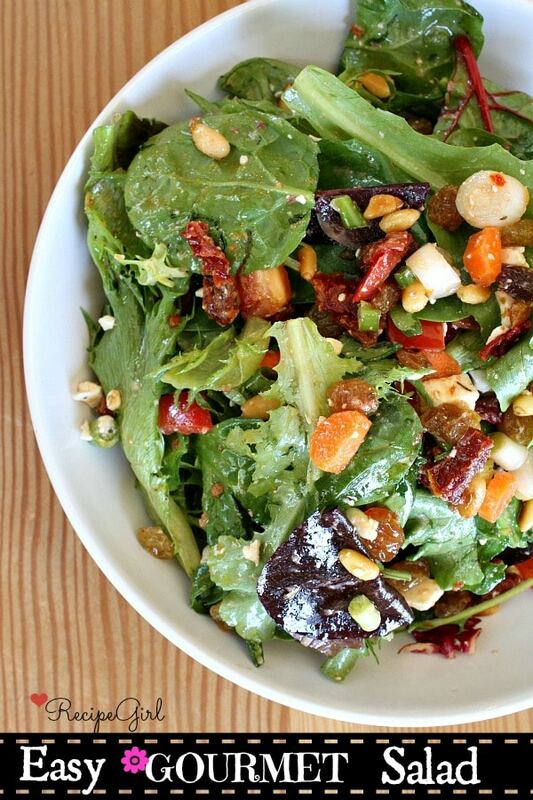 What makes it “gourmet?” Well, there are a few add-ins that make it special: sundried tomatoes, feta cheese, golden raisins and toasted pine nuts… oh yeah., and a simple, homemade salad dressing. Start with mixed greens- any sort. You can use a bag, or you can use 6 handfuls that you picked up at your local Farmer’s Market. Add a large chopped carrot. Then add chopped red bell pepper. Or yellow, or orange or green. Sprinkle in chopped green onions. Add chopped sundried tomatoes packed in oil (but drained). I suppose you could use regular ol’ cherry tomatoes here, but the sundried ones really give this salad a gourmet- punch. Mix in some golden raisins too. The raisin-HATER in me says this is all wrong, but since I’ve eaten this salad like 40 dozen times, I know that they totally work in this salad and they’re part of what makes it yummy. Feta cheese crumbles are added in next. And finally add in your toasted pine nuts. I know pine nuts are super duper expensive, so I wouldn’t be upset you if you wanted to add in toasted almonds or pecans instead. I was quoted in a newspaper article recently that I thought you should never buy salad dressing at the store, and that’s pretty much how I feel. Its SOOO much better when you make it at home, and it’s really easy to make too. The super simple dressing you’ll be whipping up for this salad is a mixture of white wine vinegar + olive oil + Dijon + raspberry jam + Italian seasoning and S&P. 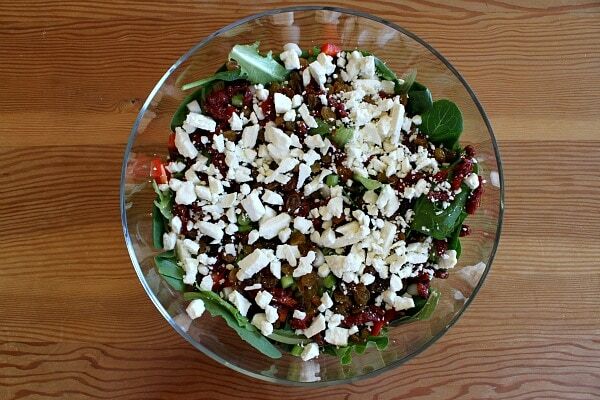 Toss it with the salad and you’re good to go with a “Gourmet-Like” salad to share! 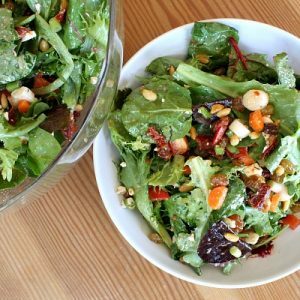 And if you have the luck that I’ve had over the years, I think you’ll find that this salad recipe is quite a hit with everyone who tries it. Have a great week everyone! 1. 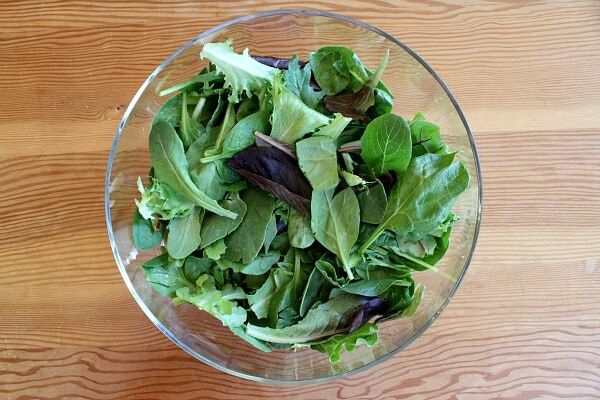 Place greens in a large bowl. Add all other ingredients. 2. 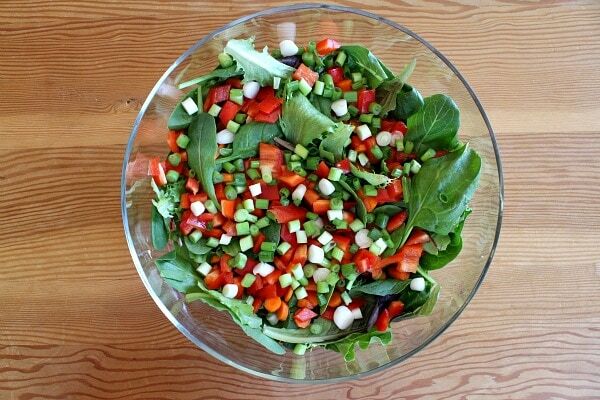 To prepare the dressing, add all dressing ingredients to a small bowl and whisk until well combined. Pour over the salad and toss (maybe use a little at a time until you have a desired amount of dressing). Serve immediately. *If you are preparing this recipe as gluten-free, just be sure to use brands of Dijon and jam that are known to be GF. 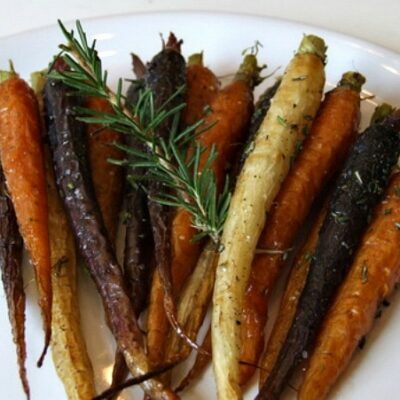 *To toast the pine nuts, heat a skillet to medium. Add the pine nuts to the pan and stir often until they begin to turn golden. Remove the pine nuts to a bowl or a paper towel to cool. The picture looks to have hearts of palm in it. Does it?My friend made it with those since she thought they were in the picture and it was delicious. No heart of palm in the recipe, but that would be a nice addition! Can I substitute apple cider vinegar for white wine vinegar ??? 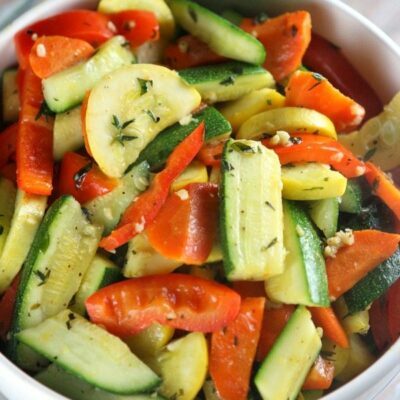 love salads and this one is on the list – will probably throw in some avocado, lately put it in all my salads. Hubby isn’t fond of raisins, but will try to sneak them in, otherwise dried cranberries. Strongly agree with you re salad dressing. Haven’t bought any in years. So quick and easy to make and usually already have all the ingredients, so why spend the money and fresh is so much better. Made this tonight. Ahhh-mazin!! My entire family enjoyed it. Thank you! Five stars!!! 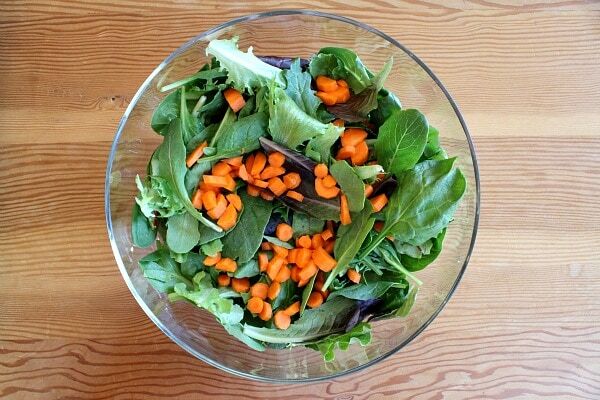 Oh goodness, this salad is gorgeous! I can’t wait to make this for my husband! I made this salad last night with dinner! YUM!!! I didn’t need the rest of my dinner, I just needed the salad bowl and a fork! Five stars out of five! What a great combination of flavors, I could eat this anytime! I made the easy gourmet salad last night. The dressing was so vinegary, it overpowered everything else. Are you sure the vinegar & oil amts are accurate? Yes, I just made it again on Sunday. The Dijon makes it extra tangy… probably best to dress it lightly, to taste? Sorry you thought it too strong! 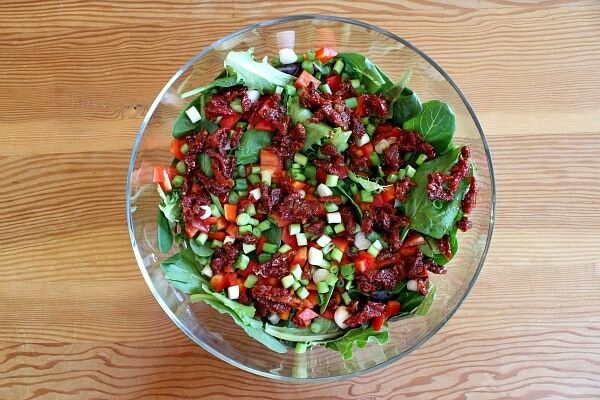 I am planning on making this yummy looking salad tonight. I just got your cookbook in the mail yesterday. I have only read up until the happy hour section and there are at least 20 recipes I want to try ASAP. I can’t wait to look through the rest. Beautiful cookbook, great looking recipes and I love all your personal stories at the beginning of each recipe. I brought another copy of the book for my sister’s birthday and I can’t wait to give it to her. 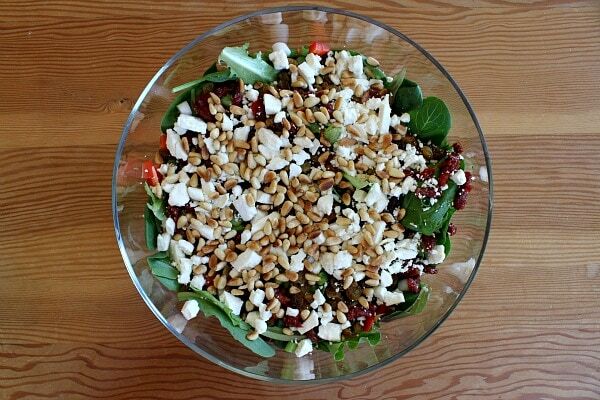 Pine nuts are so good on a salad. 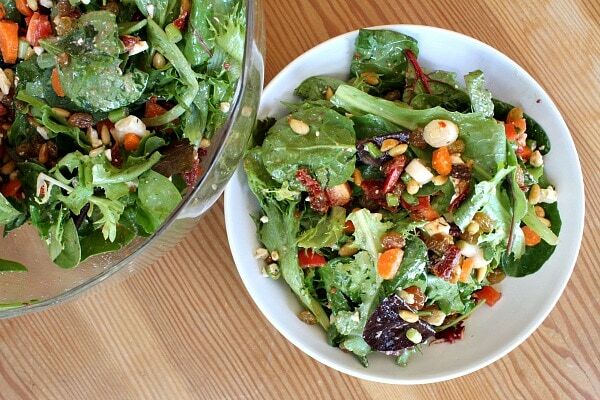 Nothing beats homemade salad dressing, ever! 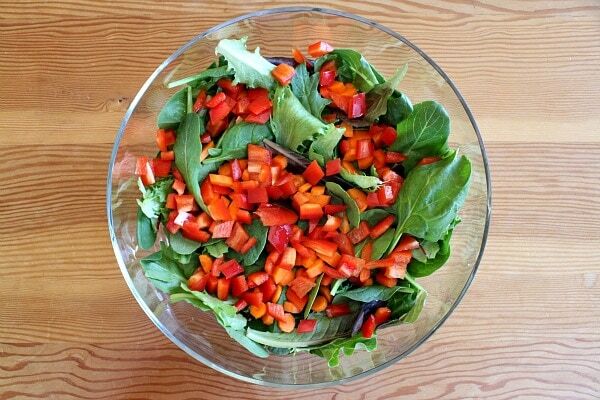 I love salads like this! It’s all about the toppings! And the dressing sounds so yummy too! I’m currently trying to force more salads into my life! This one would be welcomed with open arms and mouths any night! 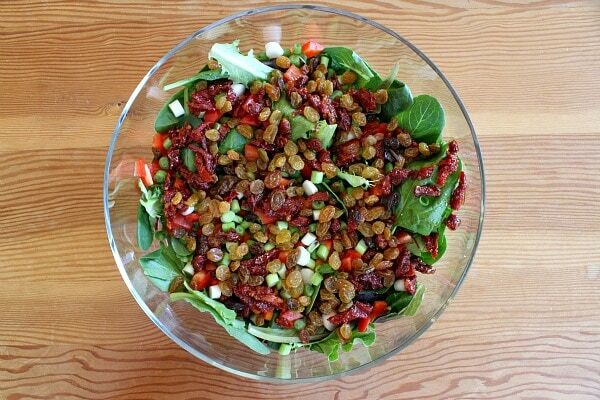 This salad looks so simple but I bet the flavors combine to really elevate it from simple to divine. I need to figure out how to turn my tomatoes into “Sun Dried Tomatoes” because I’d be all over that like . . . well I’d like to learn, anyway.